This is my second book review through a fantastic site called Booksneeze. Via this website, Thomas Nelson publishers grants readers one free book at a time in exchange for a review on his/her blog. It’s a sweet deal. I found the book at hand particularly intriguing due to the approaching 10-year anniversary of 9/11. David Carlson’s Peace Be With You: Monastic Wisdom for a Terror-filled World (Nashville: Thomas Nelson, 2001). Roughly $11 on Amazon (follow hyperlink). Carlson, a professor of Religious Studies at Franklin College in Indiana, set out on a journey of discovery shortly after 9/11. He traveled to a number of monasteries and retreat centers, interviewing over 30 nuns, monks, abbots, and other retreatants. What resulted from those interviews is Peace Be With You. What does it mean for a follower of Christ to live in a world marked by terror, terrorism, war and vengeance? More specifically, how does one devoted to solitude and prayer respond, and, is there anything the rest of us can learn from those so devoted? Early in the book, and stemming from one of the first interviews, a recurring theme surfaces, namely, that “9/11 had offered our country an opportunity for reflection, a chance to step back and consider who we are and what we are about,” (p.13). In no way do Carlson or any of the interviewees wish to minimize the loss of human life, but another tragedy of 9/11 is that America failed to step back, failed to reflect and instead pushed full steam ahead into vengeful assaults and killings of her own. The alternative to such a cycle of repaying violence with violence is the costly practice of peace. War does not beget peace. That this has been evidenced throughout history seems to be of no consideration. Yet the current times are not like those in history past when a nation declared war against a nation. The attacks of 9/11 were not a declaration of war by any one nation but an act of mass murder carried out by an extremist religious faction (one that misrepresents any good thing to be found in Islam). The center of the question is how Christians are to respond, how Christians have been called to live in such a world. We mustn’t condone such violence, on either side. Something that struck me personally in reading this book was a comment on how devoted and committed the men who carried out the attacks were. True, their actions were wrong, sinful and damnable. But one cannot dismiss their commitment to their cause. What if Christians had such a commitment to forgiving our enemies? What if Christians had such a commitment to peace? Those are the kinds of questions this book seeks to put in our minds and hearts. And then, we wrestle. We wrestle, individually and communally, with how to answer such questions. As the 10th anniversary of 9/11 approaches, memories will come flooding back of what happened on that tragic day. But how will we move forward? The Taliban and Al-Qaeda are still alive. Terrorism is still a threat. I recommend this book to anyone who is willing to wrestle with questions of moving forward in a different way that America has over the past decade. You can still love America and love this book. You can thank God for living in this country and also have your heart break for how we (as Christians in America) have responded in general to violence, with violence. Is it Possible for Christians to Find Our Way Again? I signed up some time ago to review books through www.booksneeze.com. Signing up is an agreement to receive a free book, read it, and then review it…repeat. 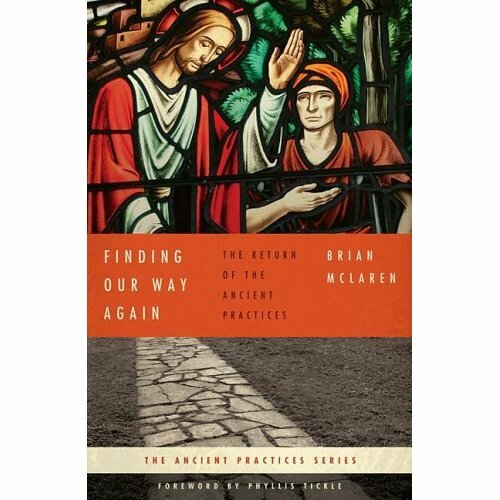 The following is my review of Brian McLaren’s Finding Our Way Again: The Return of the Ancient Practices. Finding Our Way Again marks the beginning of a series of books aimed at helping persons of faith, particularly of Abrahamic origins, to those practices most foundational, and perhaps most beneficial, to the life of a believer. Any personal emphases most certainly proceeds from my own Christian background, though the term “Christian” may no longer be advantageous in speaking of Jesus. This book does challenge the status quo, which is desperately needed in what has become a lazy, foundationless expression of the Christian faith. The Way of Christianity is a pilgrimage according to McLaren, and this is certainly tenable based on the Scriptures, Old and New. Faith is a journey. There is a place of origin and destination, but there must be movement in between. The last portion of the book is dedicated to explain “the threefold way” of walking the spiritual path. This way consists of The Via Purgativa (self-examination and a recognition of the evil within), the Via Illuminativa (exposing our souls to God’s light and becoming warmed in all respects by that light), and the Via Unitiva (the progressive aligning of our will with God’s, our emotions with God’s, our thoughts with God’s, etc.). Do not let the name Brian McLaren scare you away from this volume. 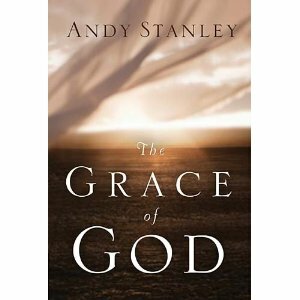 It is the first in a series of books that I believe could help any Christ-follower relearn how to walk and ultimately, we may all find our way again.